Test your mettle in a lawless competition where only the most skilled pilots earn their shot at intergalactic glory. 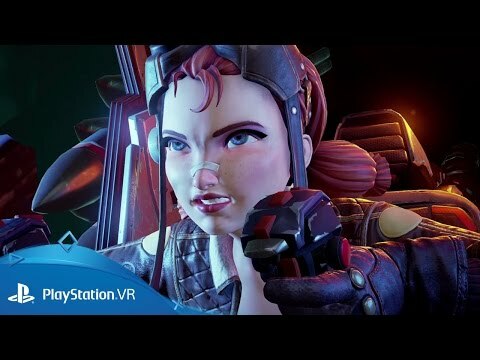 This is arena-based combat with full 360-degree movement, where the stakes are glory, credits… and your life – while the StarBlood Network broadcasts your every move in front of an action-craving universe. Choose from nine distinct ships with their own unique pilot, playstyle and loadout, and take part in single player Carnage deathmatches, Team Carnage deathmatches for up to four players, or Invaders co-op mode. Success leads to fame and unlockables such as ships, weapons and auxiliary modifications. Failure means destruction in front of trillions. Are you prepared to risk it all? Prioritise getting a lock on your opponent, as both of Alice's missiles and her heavy weapon rely on being able to track their targets. But if you can’t get a lock, her Missile Barrage spreads over a wide area regardless, giving you a good chance of hitting unassuming enemies. Nuke Missiles will keep your enemies off balance due to their large area of effect, so keep using them – you have plenty in your cache. The Bombardier is one of the toughest ships in the game, so don’t be afraid to get into the mix and let your explosives rip, as you’ll likely withstand the damage. If you run out of ammo while trying to finish off an enemy, sacrifice your shield briefly by hitting triangle to replenish your bullets. Keep your enemies at medium to close range by shooting both your Chain Railgun and Bullet-Thrower, to maximise burst fire damage without wasting ammo. Apollonia’s versatility makes her a valuable team-friendly pilot, so make full use of her four different deployable items, offensively (fire field, slow field) and defensively (shield field, healing field). The Hunter's Cage cannot be penetrated by any enemy weapons, bar the Sniper's Ghost Gun and mines. So it’s perfect for a hasty escape, trapping enemy teams offensively, or as a barrier for yourself and your team to freely fire from. Use harpoons to pin down tricky enemies so you can get close enough to hit them point blank with your shotgun. Wait until you're in a close range fight before turning on your Reflect Shield, to catch your enemies off guard and turn their weapons against them. It can also be used to defend teammates with low health, too. Don’t chase enemies – the Tank class ship is too slow and prone to nippy attacks, so restrict your long range assaults to the Gauss Cannon. When you’re blasting with your primary weapons, keep an eye out for when Elsa’s guns turn a heated orange, so you can switch to your secondary to maximise your damage output without running out of ammo. Elsa’s plentiful missiles makes it easy to rapid fire, so exploit the Binary Launcher mod to fire two missiles at once during your barrage. The Hyper Cannon does damage over time in its area of effect, so it works best in tight spaces and in combination with slow fields and stasis mines. Blade is more effective close range, so use the Wing Blades’ dash ability to quickly close the distance, then fire up the Black Death weapon to quickly infect any enemies – it’s especially effective if there are a clump of them together. Prioritise a lock-on with your Sniper Rifle – once it’s zeroed in, it won’t miss. But if you’re having trouble locking on or aiming manually, switch to your Skirmish Guns to soften up your target a bit, first. Your Singularity Missile is the most powerful projectile in its class, and especially effective in tight spaces or around corners. But be careful – the resulting explosion can take you with it if you’re too close. The Sniper ship has more mods than any other ship, so combine them to devastating effect. The Quick-lock mod helps you lock onto enemies quicker, the Doppler 9000 and Tracker follow enemies through walls, and the object-piercing Ghost Gun can do damage from a distance. Finally, the Ghillie Suit or Nitrous mods can help compensate for the ship’s more sensitive disposition. The Baron’s Death Beam kills targets extremely quickly, even if a ship has full shields, but its ammo is extremely limited so make sure your aim is precise to reap the full destructive benefits. Make use of Gundo’s fearsome ability to be effective at all ranges – use missiles for long distance foes, his primary guns and heavy weapon (Drain Array) for anything at mid-range and charge in with his secondary weapon for close calls. Drain Array not only steals away your target’s shield energy, but also restores your damaged shields. So if you’re in a rough way, save up some heavy ammo to keep your ship in rude health. 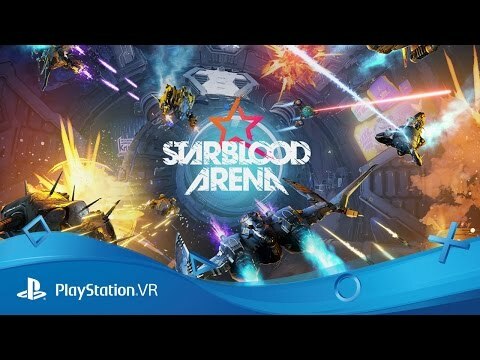 Experience the breathless space combat of StarBlood Arena with the cutting edge technology of PlayStation VR – enabling jaw-dropping 360 degree vision and 3D audio. 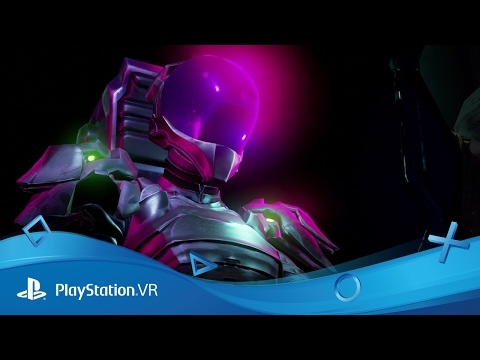 Blast your buddies into oblivion no matter where they are in the world, with PlayStation Plus enabled multiplayer. The show is on – are you ready for the arena? Drop into the cockpit of your very own customisable craft, battling online with friends (or offline against computer controlled opponents) for intergalactic glory. 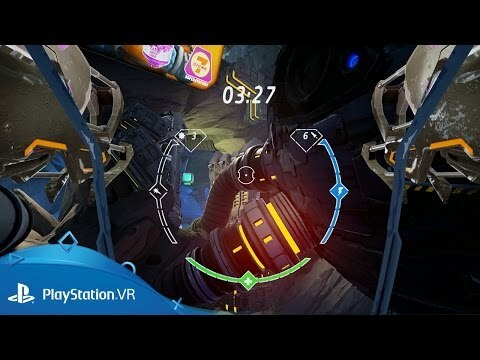 Make full use of your PS VR headset to track enemies, dodge spectacular explosions and return fire, to emerge victorious. Nine different ships with nine distinct pilots can all be uniquely customised to really stand out from the crowd. Earn credits to spend on new character skins, ship paint jobs and accessories. 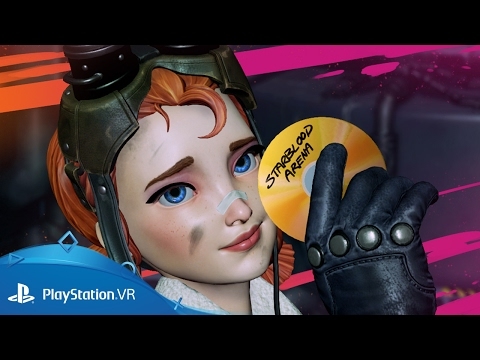 Multiplayer and all online features for StarBlood Arena will be terminated and will no longer be available on 25th July 2019. As you have to be online to play this title, this game will not be playable from that date.